Senator Snowball refers to Senator Jim Inhofe, who became infamous after throwing a snowball during a Senate meeting in, apparently, a bizarre attempt to blatantly disprove the reality of climate change. Now he is more popularly known as Senator Snowball for his “mini show” inside the Senate room, together with other public officials. Alongside the trending issues about Sen. Inhofe’s behavior, he is actually a committed climate change denier who isn’t shy about spreading disinformation in public. “In case we had forgotten because we keep hearing that 2014 has been the warmest year on record, I ask the chair: You know what this is? It’s a snowball and that just from outside here so it’s very, very cold out. Very unseasonal,” Sen. Inhofe said, while throwing the snowball and trying to stifle a smile. The most shocking part of all is that the Senator threw the D.C. snowball right onto the Senate floor. Moreover, the fact that 2014 was actually known as the hottest year on record does not seem to deter him whatsoever. As a matter of fact, this is actually not the first time that he has used a snowball in such a fashion. However, according to the website of Environmental Protection Agency, “Rising global average temperature is associated with widespread changes in weather patterns. Scientific studies indicate that extreme weather events such as heat waves and large storms are likely to become more frequent or more intense with human-induced climate change”. Senator James M. Inhofe or more commonly known as Sen. Inhofe, finished his bachelor’s degree in Economics at the University of Tulsa in the year 1973 and eventually pursued a background as senior Senator in Oklahoma. He is also a Republican Party member along with numerous engagements as a political figure. However, it is alleged that Sen. Inhofe received $1,189,050 from the oil industry as political contributions. Koch Industries is actually included in Sen. Inhofe’s top contributors with $62,750, while ExxonMobil has significantly contributed an amount of $16,000 since the year 1999. In 2000, Senator Inhoffe was the only Senator to not vote for the Everglades Restoration Plan,a bill that passed 85 to 1 (Los Angeles Times Article). With his regular speeches that oppose climate change and voting for big oil companies on numerous oil-related bills, Sen. Inhofe remains a denier of global warming. “I have offered compelling evidence that catastrophic global warming is a hoax. That conclusion is supported by the painstaking work of the nation’s top climate scientists,” he said. Heartland Institute actually honors Sen. Inhofe’s stand regarding the global warming myths. Heartland Institute is, in fact, known as the “world’s most prominent think tank” which efficiently promotes skepticism regarding man-made global warming. During a conference organized by the institute, Sen. Inhofe declared that they’re winning the battle against man-made climate change issues. According to Senator Snowball, the Obama administration lost the fight to pass the legislation, however they are working to make the regulations pass with the help of EPA (Environmental Protection Agency). Sen. Inhofe also told a national conference about the climate change skeptics. He serves as the current Environment and Public Works Committee chairman, and is an active member of the Heartland Institute. Hence, the Heartland Institute together with Heritage Foundation awarded Sen. Inhofe the “Political Leadership on Climate Change” award due to his diligent work opposing the environmental policies. In his opening speech at the convention before receiving the award, he praised all the members of the Heartland Institute for keeping up with their fight against climate change. During the convention, Sen. Inhofe in fact cited the Bible while attempting to disprove global warming, saying that, “I take my religion seriously. This is what a lot of alarmists forget: God is still up there, and He promised to maintain the seasons and that cold and heat would never cease as long as the earth remains.” The crowd, especially the Heartland Institute members, were amazed by his standpoint. “The arrogance of people to think that we, human beings, would be able to change what He is doing in the climate is to me outrageous,” he strongly commented. Claiming to have disproved the allegations that there is global warming, Sen. Inhofe stands firm with his advocacy that these issues being added to the climate concerns are simply a hoax that people should not be worried about. He even claimed that “the greatest hoax ever perpetrated on the American people” has finally become a case-closed proof. With that snowball at the Senate meeting, he tried to convince people that there is no global warming happening around specifically in Washington D.C. When he threw the snowball, he was actually completely correct about the weather. It was really cold at that time, and unseasonably so. 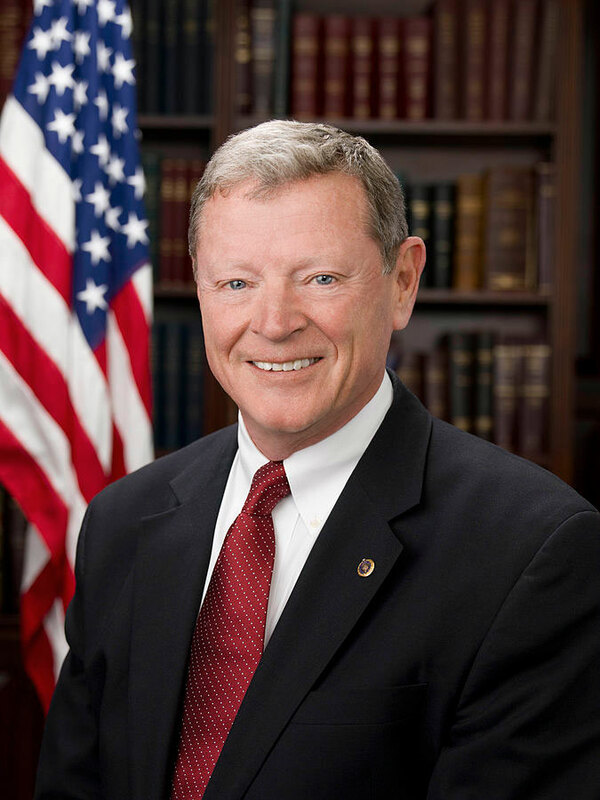 Patently denying that there is indeed climate change, Sen. Inhofe remains strong with his stance when it comes to global warming and other environmental related concerns in the country. Ultimately, Senator Snowball and the organizations he is part of are instrumental in spreading disinformation on climate change. It is crucial that people speak out against him and people don't vote for politicians who either deny man-made climate change or refuse to take necessary action.